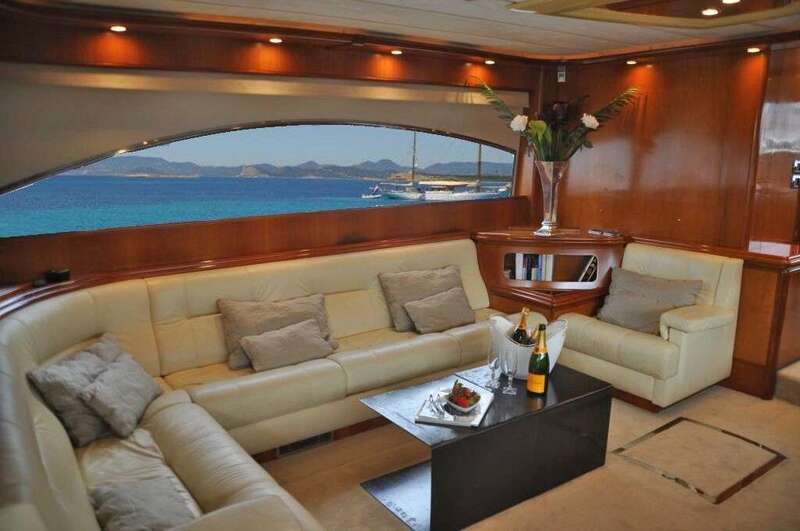 Isaba is an extremely spacious Astondoa 72GLX motor yacht over 22 metres in length. 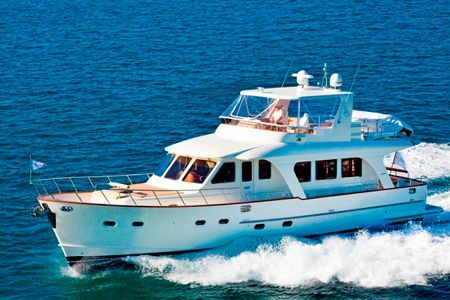 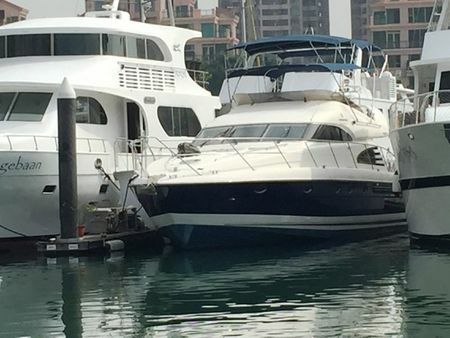 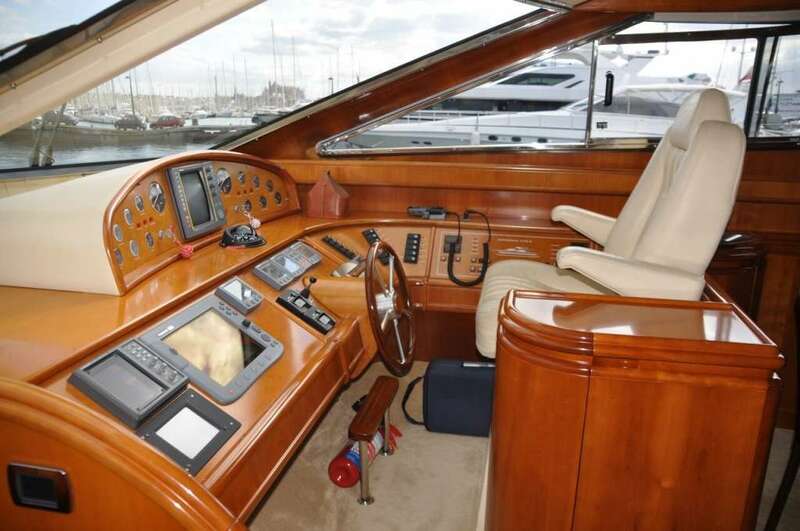 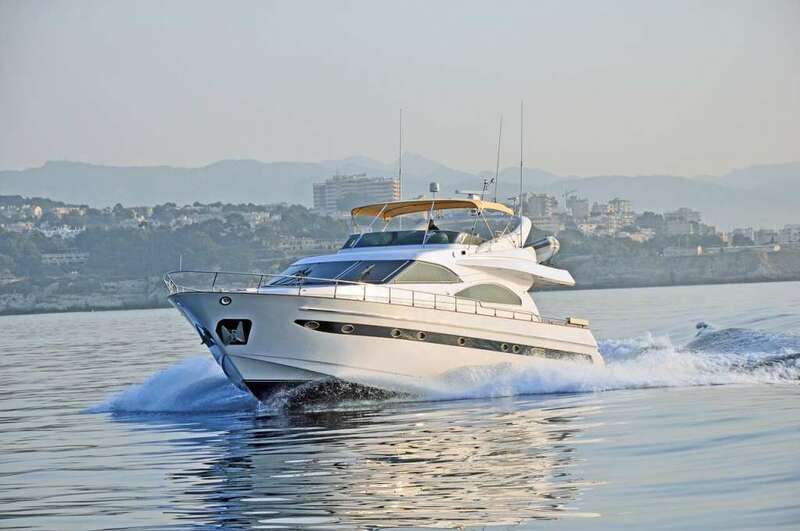 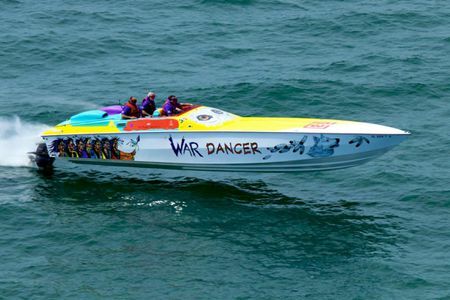 She has excellent sea handling characteristics accompanied by modern graceful design. 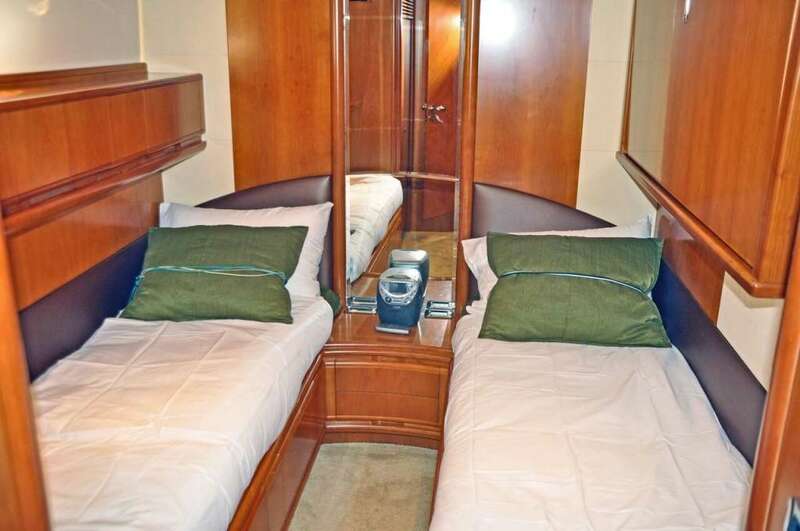 Isaba consists of 4 en-suite guest cabins (Master, VIP and 2 triple cabins) with a crew cabin located at the bow. 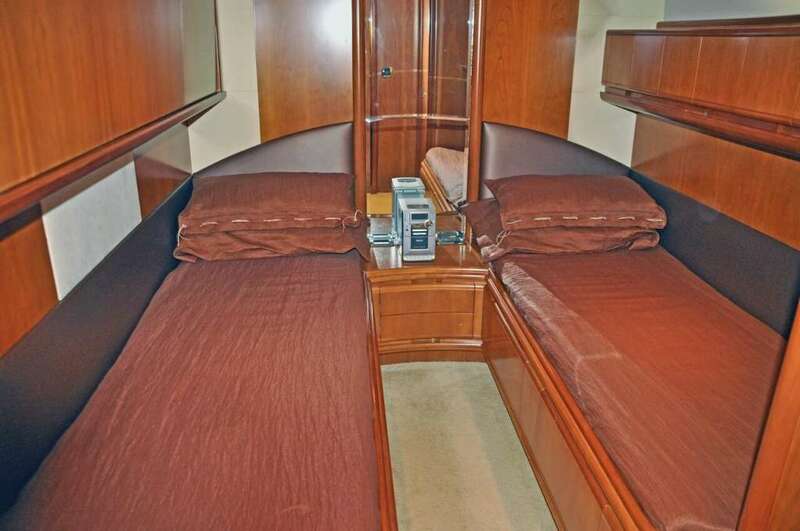 This gives her the unrivalled ability to sleep 10 guests plus crew. 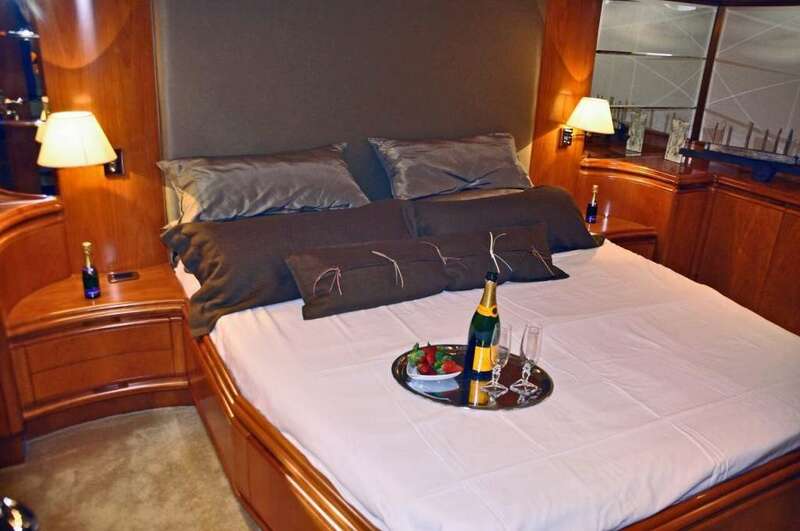 Inside, the lounge/dining room offer sumptuous style and luxury to match any 5 star hotel, inclusive a large dining table for 8 guests and fully equipped kitchen. 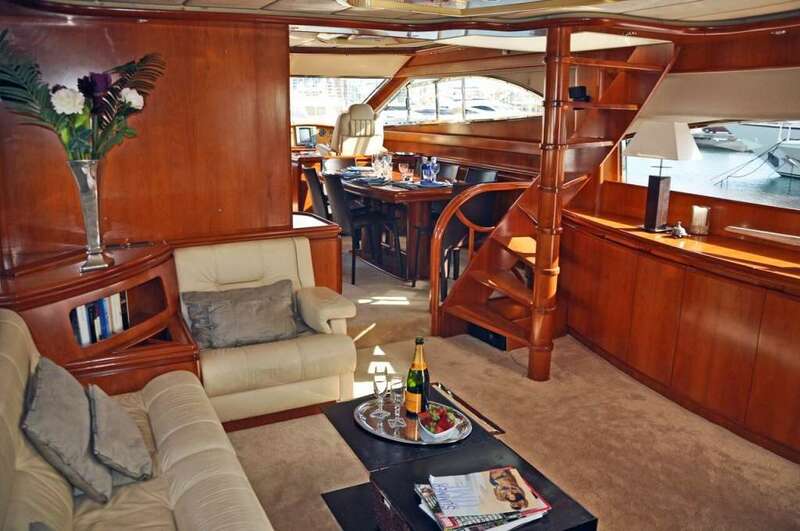 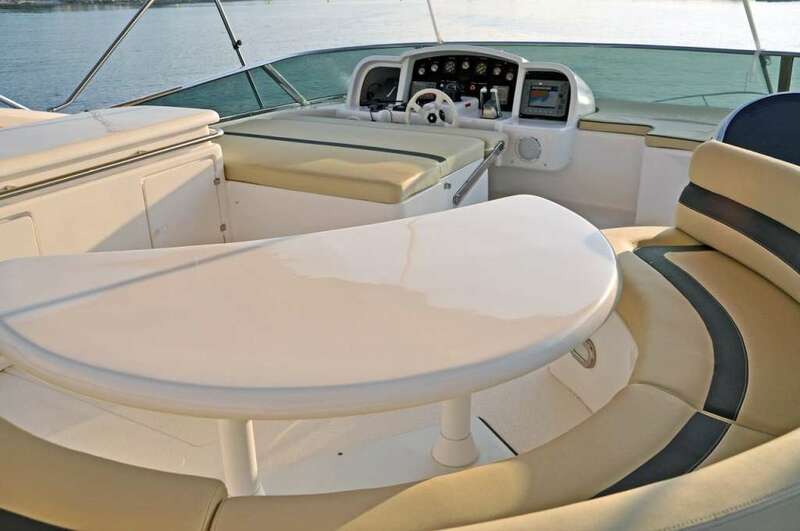 Upstairs on the flybridge there is a large sunbathing area and dining table with an added fridge, ice-maker and wet- bar, perfect to entertain. 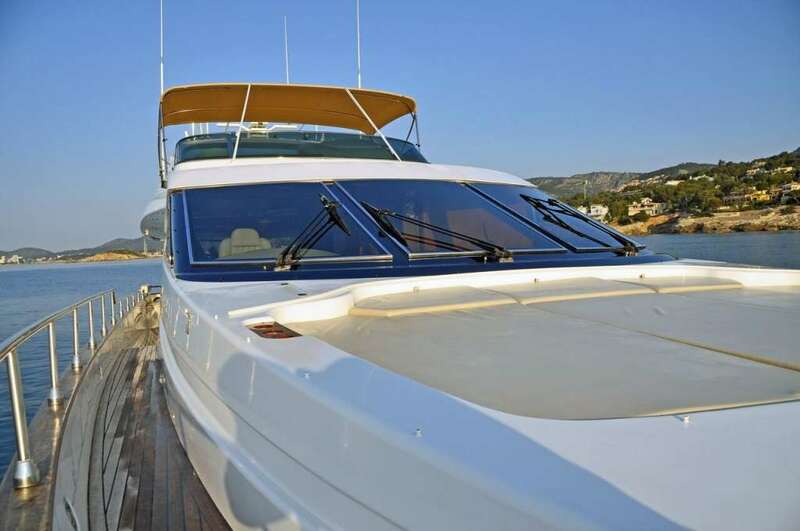 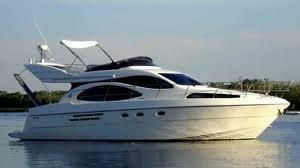 She offers additional large sunbathing areas with sun cushions at her bow and a spacious aft deck with fitted table for alfresco dining under cover. 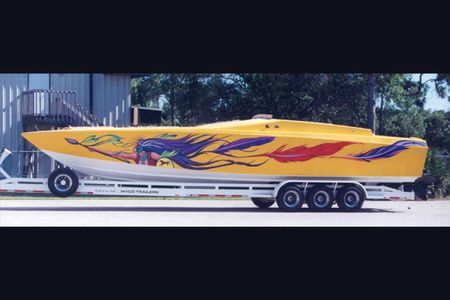 Equipped is also a brand new AB RIB tender with outboard engine, perfect for water skiing, towing inflatables or trips ashore. 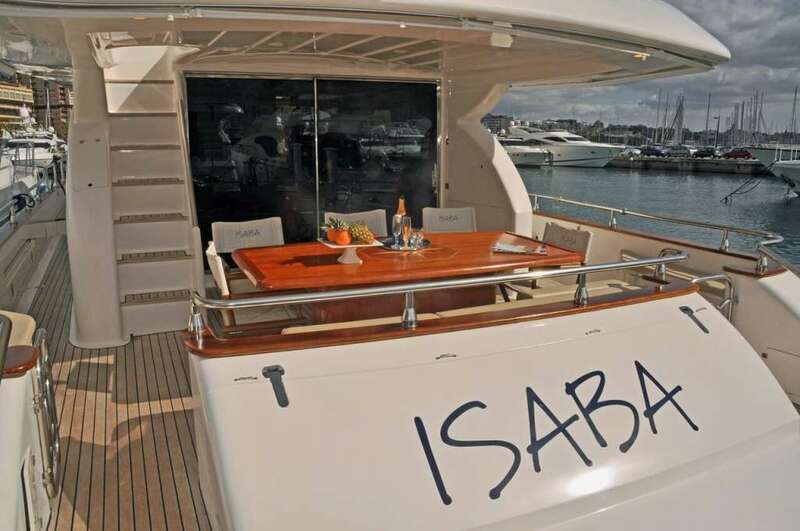 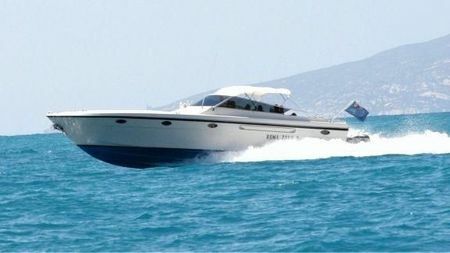 Isaba is by far the best value 4 cabin 22 meter Charter Yacht in the Balearic's.